Artwork Panel: 27.7cm x 40.8cm ≈ 11" x 16"
Silk/Brocade: 36.9cm x 103.6cm ≈ 14½" x 40¾"
Reason for discount: Very minor spots. Only noticeable upon close inspection. 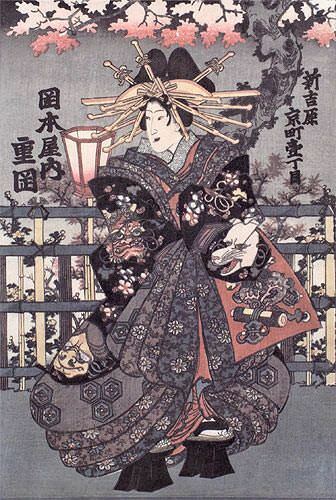 This is a giclee print reproduction of an old Japanese woodblock print.